November 24. 2015: An article by Matt Breach summarising the Back in Two Ticks votes and the next steps appeared in the matchday programme for the game against Dagenham & Redbridge. November 16, 2015: The result of the second round of voting has been announced – both ‘ticks’ were ‘yes’! October 26, 2015: The second round of voting launches today. Members will start receiving their proxy voting forms from today, either by email or by post according to their stated preference. As with the first round of voting, members can either vote in advance by proxy or in person at the November SGM. We need a 50% turnout and 67% to vote in favour to pass the resolution. The Dons Trust Board recommends that members vote ‘yes’ and do so as early as possible in order to help our volunteers’ workload. You can remind yourself of the key information by reading the original information pack and the latest FAQs document. The timelines for vote two are in the summary leaflet — the deadline for receipt of postal or online ballot papers is Saturday, November 14. If for any reason you lose your proxy voting email or proxy voting form, you can download a replacement proxy voting form — votes cast will be checked against the Dons Trust membership list. October 22, 2015: The first round of voting concluded at a Trust SGM with a strong vote in favour of the resolution. October 9, 2015: An updated version of the frequently asked questions document has been released. This replaces the version released on October 2. October 6, 2015: The proxy voting form is now available to download. If you have already voted electronically or by post, you do not need to use this form — this form is being made available online for those who may have lost their original. Please note that votes will be checked against the Dons Trust membership list. Some members whose membership renewals were received or processed close to the September 30 eligibility deadline will be receiving their voting packs by email or post during the course of this week (week commencing Monday, October 5). If you are one of these members and have not received your voting pack by the end of the week, please contact StadiumQuestions@thedonstrust.org. There are still some questions outstanding, and further updates to the document will be published from time to time. Questions can also be sent to stadiumquestions@thedonstrust.org. September 29, 2015: Vote 1 proxy forms have now been sent out to members. This is your chance to vote and express your view – please do not ignore this email or letter. Due to restrictions imposed by the Trust constitution, if you wish to vote in advance of the SGM then you have to do so via proxy. Some members have asked about how to complete the proxy form, and in particular who to appoint as their proxy. If you appoint the chair of the meeting as your proxy, then the chair of the Trust (or any other person standing in as chair at the SGM) will cast your vote at the SGM on October 22 in accordance with your stated preference. If, however, you appoint someone else as your proxy, that person needs to come to the meeting on October 22 and cast your vote on your behalf. In general, we would advise you to appoint the chair as your proxy unless you are specifically intending to send someone along to the meeting to vote on your behalf. Do not enter your own name as proxy, since you are in any case entitled to attend the SGM to cast your own vote. If you have made a mistake in the way that you have completed the proxy form, please contact secretary@thedonstrust.org. Please vote early to save our volunteers time later in the process. The invite letter and agenda for the SGM are already available to view online. 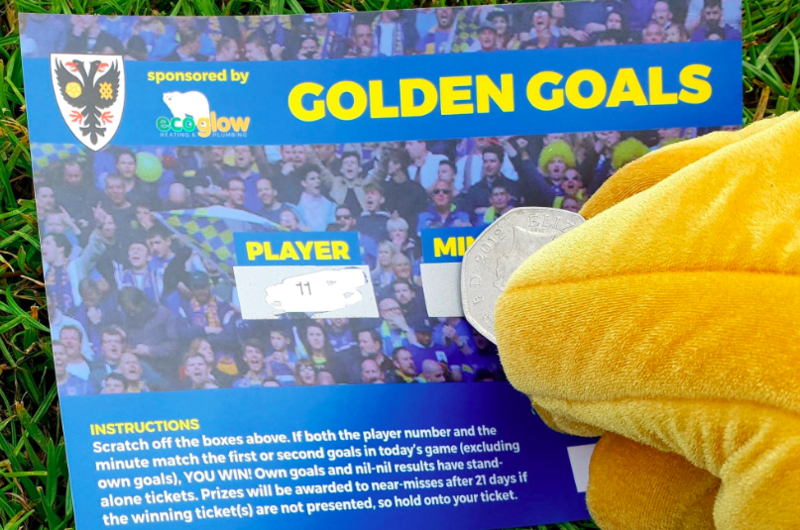 September 14, 2015: Information packs have been sent to every full Trust member containing all of the background information about the campaign, the voting timeline and the rationale behind the plans to sell Kingsmeadow. The information pack should be read alongside a cover letter and summary leaflet. Ballot papers for the first vote will be sent out by post or email (according to each member’s stated preference) at the end of September. 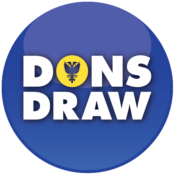 If you would like to know more about the process and proposals, you are invited to attend either of the meetings for Dons Trust members (22 September at Kingsmeadow and 24 September in Wimbledon – see the ‘SGM September 2015’ agenda and invite letter) or to email StadiumQuestions@thedonstrust.org. If you are a full Trust member and do not receive your pack through the post, email details@thedonstrust.org to confirm your address. September 4, 2015: the invite letter and agenda for the SGM to be held for Trust members on 22 September (at Kingsmeadow) and 24 September (in Wimbledon) are now available on this website. Information on the proposals and on the voting process will be sent to every full member in the middle of September. The briefing process surrounding the Restricted Actions votes launched at the home game against Exeter City on August 29, 2015. A team of volunteers handed out a leaflet to Trust members as they arrived at the match, and the topic was covered in club Chief Executive Erik Samuelson’s page of the matchday programme. Information on the proposals and on the voting process will be sent to every full member in the middle of September. Members can also attend meetings on 22 September (at the Cherry Red Records Stadium) or 24 September (at a venue in Wimbledon) to discuss the proposals. Junior Dons are welcome to attend (must be accompanied by an adult member if under 11 years old) but will not be eligible to vote. As a supporter from the Plough Lane days ( in the 1960’s I worked for the Black brothers who then owned the club and I worked with most of the 1962/3 FA Amateur Cup wInners) I fully support the proposals to move back to Wimbledon. I do however have a comment regarding the sale of the current ground to Chelsea FC. There should be a restriction on the sale limiting the use to a football ground only plus a requirement that in the event that the ground is sold for on for another use and/or redevelopment (probably housing) the Trust should be able to have a share in any increased value over and above the price Chelsea are paying. Thank you for your comment. The contract with Chelsea is not yet signed but the draft includes clauses that safeguard us in the event that Kingsmeadow stadium is sold at a profit in the near future. Well done on the presentation and my wife and I will be enthusiastically voting – ‘yes’. Understandably, the ‘Key Risks’ section takes a broad view, and given the quality of technical expertise appointed I am sure that there is further detail under consideration in the background. As a retired Chartered Surveyor and Property Consultant with over 45 years experience of major landed property and development schemes I believe that the greatest exposure to risk is once the construction process is underway. Projects can be completed on budget and time, but equally they can go wrong, with significant delays and potentially costly litigation. My ‘pennyworth’ is to remove uncertainty wherever possible, with a design and build contract, no provisional sums, exhaustive (albeit costly) ground and utilities investigations (including supply capacities), ensure that LADs are relevant to the particular circumstances of the Club, appoint a specialist construction contract lawyer, and a specialist construction project manager. Given the nature of the actions thus far, no doubt much of this is already in mind. Thanks for these thoughts, Richard, some of which were touched on by Erik at last night’s SGM. We will be producing a Frequently Asked Questions document in the coming days, once we have had the two SGMs, and will make sure that there is something about the nature of the construction contracting arrangments in the FAQ.